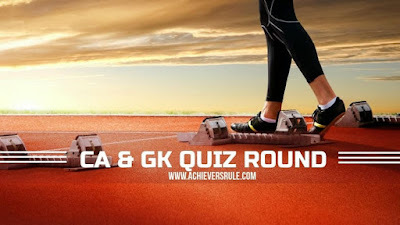 We have brought to you a new set of questions in our Today's Regular Current Affairs Quiz for the exams of DENA Bank, IBPS PO, IBPS CLERK, SSC CGL, SSC CHSL. Railway and other similar Competitive Examinations which are very important. We request aspirants to solve the quizzes. The pattern of the quiz is entirely similar to that of the Competitive Examinations. Also, go through the Current Affairs Updates and One Liner and Static GK Points before appearing for the test. Q1. Which day is observed as World Telecommunication and Information Society Day ? World Telecommunication and Information Society Day observed on 17th May. 2018 Theme: "Enabling the positive use of Artificial Intelligence for All"
Q2. Who has been appointed as Lalit Kala Akademi chairman ? Q3. Who has sworn-in as the chief minister of Karnataka? Q4. Who has been elected as a member of the Board of Commissioners of Multnomah County in Oregon ? Q5. Which place has India's first solar powered railway station ? Q6. Which city is said to be India's cleanest city ? Q7. Which Indian exchange gets US SEC recognition? According to the exchange, the recognition will also enhance the attractiveness of Indian Depository Receipts (IDRs) amongst US investors while providing additional benefits to companies whose securities are traded both in the US and on BSE. Q8. Which city has been adjudged as the best in solid waste management? The Swachh Survekshan-2018 results that minister for housing and urban affairs Hardeep Puri announced on Wednesday brought good tidings for Karnataka. Q9. Which city is going to become World's Most Populous City Around 2028? The 2018 Revision of World Urbanisation Prospects produced by the Population Division of the UN Department of Economic and Social Affairs (UN DESA) and released said that 68 per cent of the world population is projected to live in urban areas by 2050..
Q10. V.K. Singh makes surprise visit to which country? Q11. A new centre of All India Institute of Medical Sciences (AIIMS) is coming up in which state? The Centre approved setting up of an All India Institute of Medical Sciences (AIIMS) at Deoghar in Jharkhand..
Q12. Which is the first country to open its Embassy In Jerusalem ? Q13. India signed MOU with which country for cooperation in the legal field ? Q14. Which company is acquiring Bhushan Steel?